An instant pick in any 1990s Fantasy Football team, Hristo Stoichkov shredded defences apart for club and country in the early part of the decade, with a deadly mix of technical brilliance and aggression. His formative years with Bulgarian minnows Hebros Harmanli and later with CSKA Sofia set the tone for a career blending moments of jaw-dropping talent with acts of manic frustration. Just weeks into his time with Sofia, he received an initial lifetime ban for his role in a mass brawl during the 1985 Bulgarian Cup final against fierce city rivals Levski. Animosity between the two had been simmering for years, punctuated by fan violence and allegations of referee bias towards Levski, and in 1985 it boiled over. 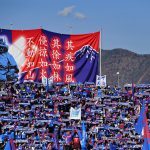 A fight in the closing 10 minutes of the game saw a flurry of red cards and six players banned for life, including Stoichkov. Despite the ban being overturned, Stoichkov was forced to watch from the sidelines for 14 months. He returned for the 1986/87 season to help CSKA win the league, before winning his third title in 1990 in what was to be his breakthrough season in Europe. An outrageous 38 goals in 30 league games secured him the European Golden Boot, and Johan Cruyff’s Barcelona swooped for him in the summer. His start at Barcelona mirrored his early days with CSKA, marred by violent aggression after receiving a two-month ban for stamping on a referee’s foot during his El Clásico debut. 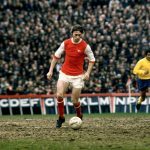 Cruyff battled hard to protect his new star from criticism that cited his temper as too much to balance against his talent, and Stoichkov repaid him. Despite a limited impact in 1990/91, Stoichkov still collected a La Liga winners medal and Cruyff’s decision was vindicated as the Catalans looked to create something special. The following season was to be the summit of Cruyff’s Dream Team, defending their Spanish title and winning the European Cup, with Stoichkov at the heart of it. Keen to maximise his impact, the Dutchman deployed Stoichkov as a central attacker, with Danish international Michael Laudrup playing behind in a number 10 role. It was to prove a sensational move as Stoichkov netted 22 goals in all competitions, and freed from any real defensive responsibilities, he was able to play purely almost exclusively on instinct. Back-to-back La Liga titles followed for Stoichkov. By the start of 1993/94, Romário arrived from PSV Eindhoven, and the pair quickly became formidable. Romario’s arrival moved Stoichkov into a wider attacking role, with the Brazilian operating as a central striker, and Stoichkov adapted and thrived on the wing. Again, he was granted tactical freedom, able to terrorise from deep, supplying endless passes and set piece deliveries for Romário and others to secure their fourth consecutive Spanish title. He had endeared himself greatly to supporters with his outrageous, and often unpredictable, brilliance, matching the fusion of talent and fierce will to win that is the prototype for a Barcelona star. 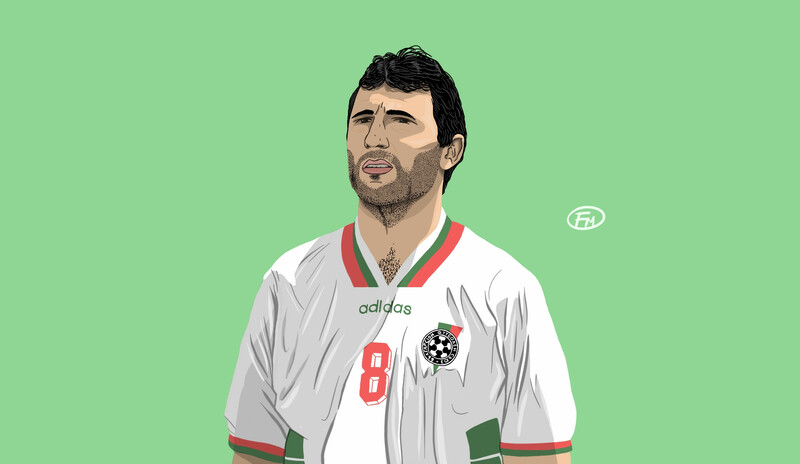 Eager to maintain his role as the star of the Bulgarian national team’s Golden Generation, 1994 was also to be a definitive year for Stoichkov and Bulgaria. The Balkan side had been earmarked as ones to watch out for in the United States, and led by the talismanic Stoichkov, they qualified for the knockout rounds. From there he carried the team into uncharted territory, with goals against Mexico, Germany and Italy seeing them all the way to a third-place finish.